This year, the presidential race will get most of the headlines, the House of Representatives seems near-certain to stay in Republican hands, and there aren’t too many governor’s races on the ballot. But the battle for control of the Senate looks like it will be fierce — with potentially major implications for whoever succeeds Barack Obama. And overall, this year’s map looks hugely favorable for Democrats. This crop of senators was last on the ballot in the Republican wave year of 2010, so there are 24 Republican-held seats up, compared with just 10 for Democrats. Furthermore, every single Democratic seat up is in a state where Obama won twice — and so are seven of the Republican seats up. However, the advantageous map for Democrats isn’t a guarantee of anything — Republicans had a very favorable Senate map in 2012, but actually ended up losing two seats overall. 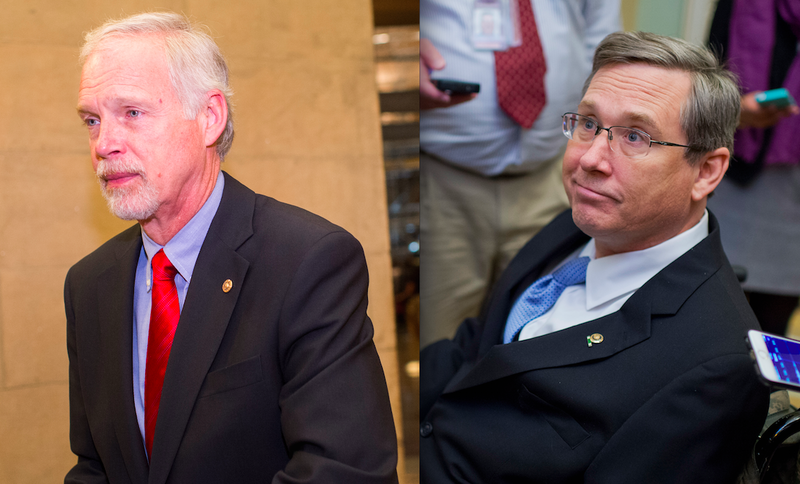 To some extent, these Senate races will follow the national contest — but in many cases, the individual candidates will matter too. So here’s a look at which seats seem most competitive right now. Bill Clark / Tom Williams (CQ-Roll Call Group / Getty) Ron Johnson of Wisconsin, and Mark Kirk of Illinois. Since arriving in the Senate after the 2010 wave, multimillionaire Ron Johnson of Wisconsin has been an unapologetic conservative, while Mark Kirk of Illinois has occasionally tried to position himself as a moderate. But both are in serious trouble in 2016. The deeply unpopular Johnson will face a rematch with liberal favorite Russ Feingold, whom he won the seat from in 2010 — but this time around, Johnson is already trailing by double digits. And Kirk’s biggest problem will be his state’s expected liberal swing in a presidential year — a swing that his likely opponent Rep. Tammy Duckworth, an Iraq War veteran, will try to take advantage of (if she can get past a primary fight with Andrea Zopp, the former CEO and president of the Urban League). 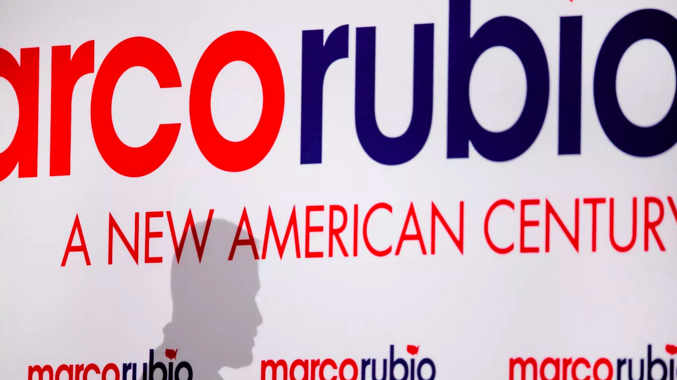 Scott Olson / Getty Marco Rubio will vacate his Senate seat because of his presidential campaign. Several longtime senators, like Barbara Boxer (D-CA) and Barbara Mikulski (D-MD), are retiring this year — but the open seats most likely to change hands are held by Harry Reid (D-NV) and Marco Rubio (R-FL). In Nevada, both parties already seem to have gotten their top choices for candidates. The general election matchup will likely pit former state attorney general Catherine Cortez Mastro (D) against Congressman and Iraq War veteran Joe Heck (R), in a state where the Hispanic vote will be key. But the Florida situation is much more chaotic. The Democratic primary pits the very liberal Rep. Alan Grayson against the more mainstream Rep. Patrick Murphy, and Republicans currently have what looks like a four-way race between Rep. David Jolly, Rep. Ron DeSantis, Lt. Gov. Carlos Lopez-Cantera, and businessman Todd Wilcox. Bill Clark/Roll Call Sen. 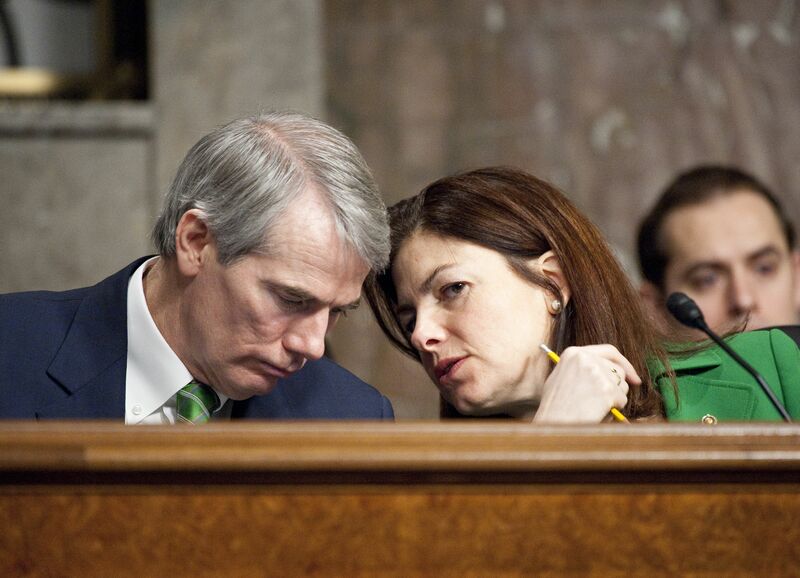 Rob Portman (R-OH) and Sen. Kelly Ayotte (R-NH). Then there are three other first-term Republican senators from swing states who were elected during the 2010 wave: Kelly Ayotte (NH), Rob Portman (OH), and Pat Toomey (PA). Ayotte will face a top-tier matchup with New Hampshire’s current governor, Maggie Hassan. Portman will likely be up against former Ohio Gov. Ted Strickland (though Strickland has to win a primary fight with P.G. Sittenfeld, a city councilman from Cincinnati). In Pennsylvania, too, Democrats could face a draining primary, as 2010 Senate candidate Joe Sestak (who’s disliked by the party) is running against Katie McGinty, who served as chief of staff to Gov. Tom Wolf (D). If Democrats win five of the seven races listed above (and the presidency), they’ll probably retake the Senate. But, of course, other races could end up being competitive too. The next-best Republican target looks to be Sen. Michael Bennet (D) of Colorado, but the GOP has been having trouble finding a strong candidate to face him. And there have been some whispers that Kamala Harris — the Democratic establishment’s preferred candidate for the open California Senate seat — might not be as strong as many think (though it’s quite difficult to imagine a Republican winning that seat in a presidential year). Meanwhile, Sen. Richard Burr (R-NC) isn’t all that popular, the retirement of Sen. Dan Coats (R-IN) opens up another reach target for Democrats, and Sen. John McCain (R-AZ) is facing a primary from the right (though one that currently seems unlikely to succeed).